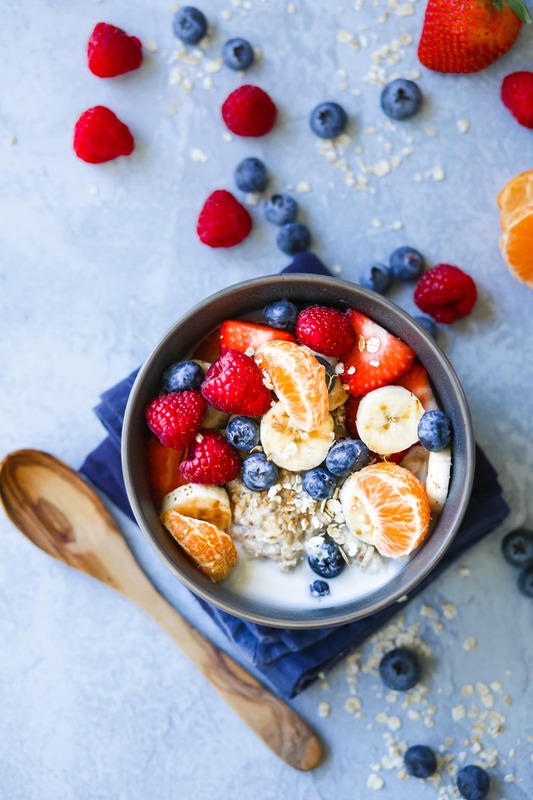 I love making overnight oats to save me precious time in the morning, and to make sure I have something healthy to have on my way out the door! It’s great to remake in a jar and then top with berries, granola or nuts and a splash of almond milk. What are Overnight Oats? They are rolled or old fashioned oats soaked overnight that absorb the liquid you put them in, whether it’s nut milk (my favorite) or juice (a lower fat option). The chia seeds increase the protein and nutrition and help the mixture thicken up. Chia seeds are very grounding and help make any dish more substantial. Quick, filling and healthy, overnight oats are a perfect solution for busy mornings. 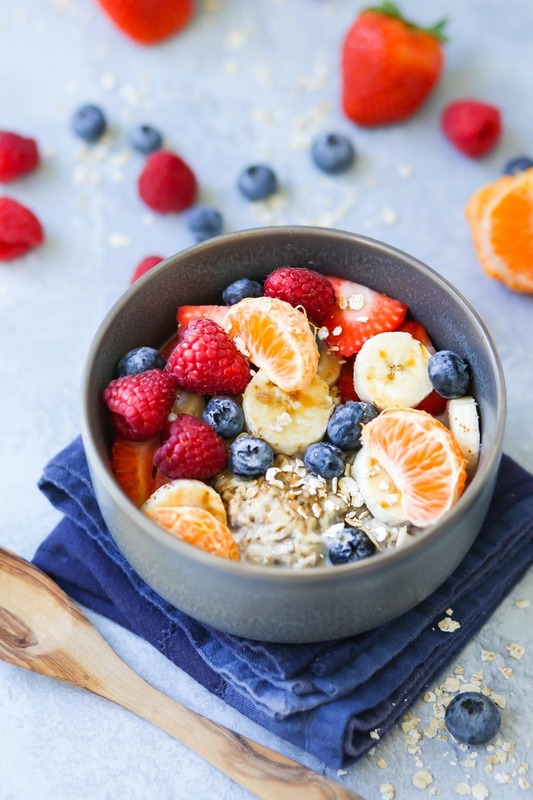 Fresh berries add a burst of flavor, while the simple oats will keep you fueled for hours. Add the rolled oats to a jar with the almond milk and chia seeds. Allow to chill covered overnight. In the morning, add a little more almond milk if desired and garnish with fresh berries or other fruit. Feel free to add almond or peanut butter, coconut flakes, more chia seeds or other whole nuts and seeds!